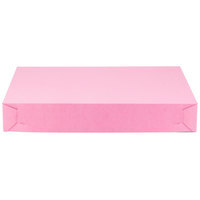 These pink boxes come in different bulk quantities to make sure you can send away hundreds of satisfied customers with each purchase. 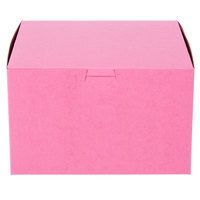 And because each box comes in a single solid color, imprinting or designing your own company's logo, font, and layout is incredibly easy, simultaneously increasing your sales while creating a strong brand association. 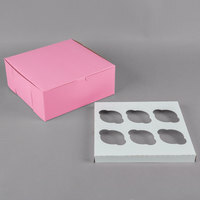 Conveniently, each box can be easily assembled and prepared for the next customer in no time. 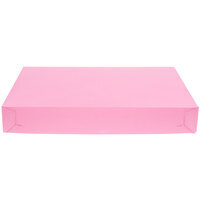 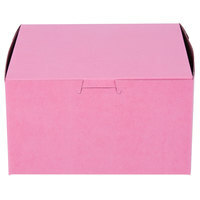 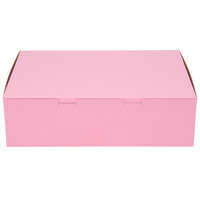 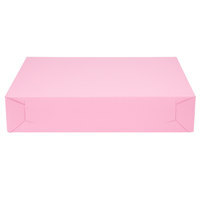 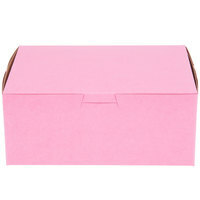 With dozens of sizes from which to choose, finding the perfect pink box for your baked goods has never been easier. 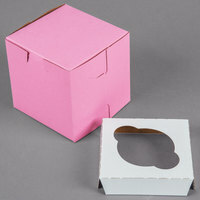 The boxes ship flat to help cut down on transportation costs while making them easier to store, and they can quickly fold into the proper shape in a few moments to maximize your business's efficiency. 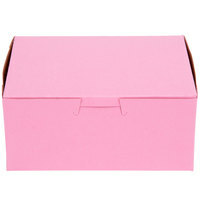 Their interiors are also the perfect sizes to specialize in certain foods without harming their decorations, like cakes or cupcakes. 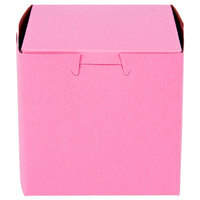 For more options to stylize your foods, take a look at recloseable tin tie paper bags, bakery wrap, and take out cookie bags. 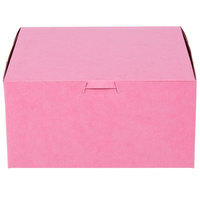 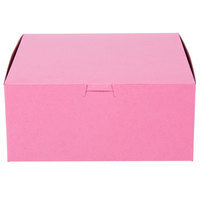 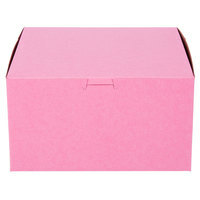 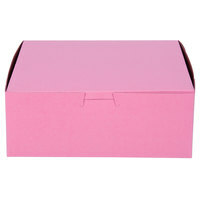 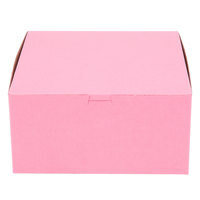 If you're wondering where to buy pink bakery boxes, we have a large selection of pink bakery boxes for sale at the lowest prices.